Full of humor, toughness, hard work, and surprising vulnerability, this book shows the bitter weight of racism and the power of principled resistance. “It’s like hearing a diesel engine inside a Mustang body,” he said. Melvin Whitfield Carter Jr., the father of St. Paul’s current mayor, is a true son of Rondo, the city’s storied African American neighborhood. He was born in a city divided along racial lines and rich in cultural misunderstanding. Growing up in the 1950s and ’60s, he witnessed the destruction of his neighborhood by the I-94 freeway—and he found his way to fighting and trouble. Diesel Heart is the story of a leader who created a powerful family legacy by standing up for what is right, even in the face of adversity. Marvin R. Anderson will be joining Melvin Carter in an informal, engaging and enlightening conversation, sharing Mr. Carter’s story and the history of a neighborhood and a city during a turbulent time. 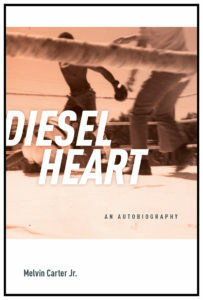 Copies of Diesel Heart will be available for purchase and signing. Melvin Whitfield Carter Jr. served as an officer in the St. Paul Police Department for twenty-eight years. He is the founder and executive director of Save Our Sons. Marvin Roger Anderson was raised in Saint Paul’s Rondo neighborhood before leaving to attend Morehouse College in Atlanta, Georgia, and then received his J.D. from Hastings College of Law in San Francisco. 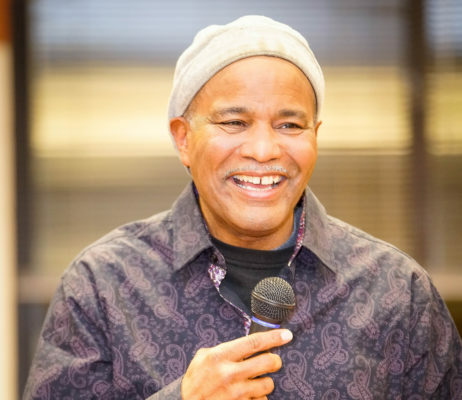 After serving int he Peace Corp, he was an ordinance drafter for the city of Minneapolis Department of Civil Rights before earning his Master of Arts from the University of Minnesota’s School of Library Science. He was appointed State Law Librarian in 1980. Anderson’s tenure as State Law Librarian spanned 22 years and included many accomplishments including the “Everybody Wins” reading program, which paired volunteer legal practitioners with elementary school students to encourage a life-long love of reading.